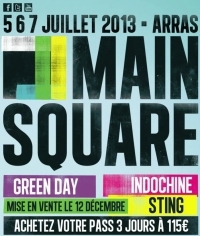 Sting will be one of the headline artists at the Main Square Festival in Arras, France. A 3–day pass for the Festival, taking place July 5 – 7, 2013, will go on sale tomorrow, December 12 at 10AM (local time) at www.mainsquarefestival.fr. Single day tickets will be available in the new year. 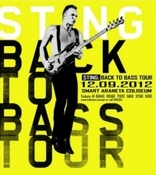 Please stay tuned to www.sting.com for the latest ticket information. While the full line-up has not yet been announced, confirmed performers also include Green Day and Indochine. Since there will be Europe summer touring in 2013 again, please please consider some German dates. Germany was treated very nicely on the Back To Bass 1st leg, but sadly ignored on the 2012 summer tour and the current wrap up of the Back To Bass tour. Would absolutely love to see Sting again in 2013, maybe even with David Sancious?! Hope to see more dates for next year!!!!!! !